I love vintage books. I have shelves full of them at home. I once bought a 1930s era dictionary at a Goodwill store just to browse through it and see what words I could *not* find there. I have a special passion for old etiquette books and what they reveal about the behavioral and societal norms and ideals of the time they were printed. Plus, when I read them I imagine elegant people in fabulous clothing, which is fun. I appreciate the sensory experience and context that comes from picking up an old book–especially a science or social studies book from a bygone era. Old books offer a window into our past discoveries and culture, but they should not be the resources our students depend on in their school media centers. During my initial practica planning meeting, when I sat down to outline potential projects with my host media specialists, I was happy to hear that they were embarking on a weeding project for which they could use assistance. I was especially excited when they mentioned being inspired by Buffy Hamilton’s article, Collection Weeding as Dendochronology, from her blog The Unquiet Librarian. In her article, Hamilton describes the process and value of weeding print collections with care and deliberation. She also describes the potential of weeding projects that focus on collection development to remove items that are outdated or irrelevant so that students can actually see and interact with the items in the print collection that: 1) contain accurate and up-to-date information; 2) reflect the topics students request for school or personal inquiry; and 3) support content area curriculum. My host media specialists performed a careful and circulation-statistics-based culling of their non-fiction collection last year. They replaced books that were extremely worn and in high demand and discarded books that had not seen circulation in years, but the realities of time and budget prevented them from performing the massive overhaul they hope to one day accomplish. When I arrived for my practica, my hosts had already begun a second round of weeding with a more nuanced focus on collection development. I continued the good work that my hosts had started, and ended up with results that have proven that sometimes “letting go” is the right thing to do. With the shelves cleared of outdated and inaccurate materials, there was room to spread out the collection and clearly group books according to their Dewey classification categories. 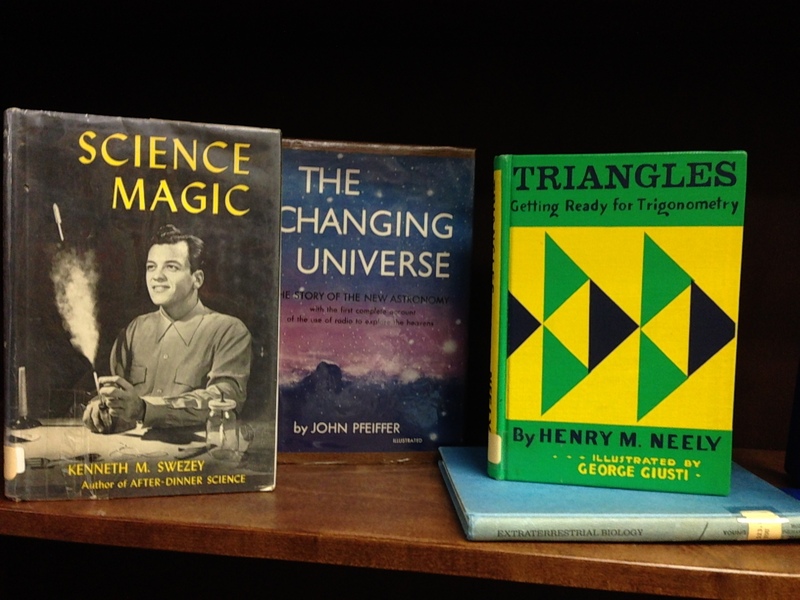 While the books had been arranged by traditional Dewey call numbers prior to the Great Weeding Project, it was impossible to create subject specific shelves because there were simply too many books. Now, there is room on each shelf to display books that help students understand exactly what they will find there. There is also room to feature books that students don’t always think to browse for in the non-fiction section, such as memoirs, true stories, and first-hand accounts of all kinds. I am excited to report that when I go to this media center now, there are actually students browsing the non-fiction stacks and checking these books out for more than just assigned research. It is an awesome feeling to walk through this section at the end of a practica day and have to tidy up because so many books got looked at, picked up, and checked out!